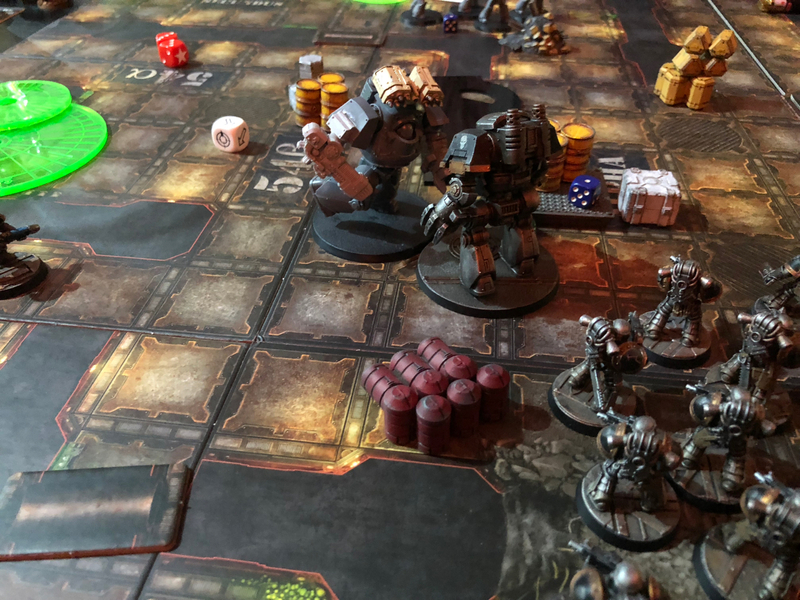 In this ‘Lockdown’ mission all of the security doors were locked and needed to be destroyed to move through and we opted for ‘Capture Ground’ as the scenario – five objectives on the board with the central one worth three victory points and the rest worth one. Narratively this fight was in the loading bay of the ship which was open to space and so the ‘Cold Void’ rending rules were in place against units without hardened armour. Plasma support squad decimating the tartaros squad and then getting burned down by the return fire from the plasma contemptor. My fist contemptor went toe to toe with the plasma contemptor – I decided to me cinematic and throw in my Warsmith to help finish it off, only for him to be swatted in a single unlucky blow. My kheres contemptor ended up getting bogged down in a three round slap fight with a single surviving tartaros terminator for three turns . . . which blocked an entire tactical squad from being able to move up. Tricksie cataphracti squad teleported into my back line to devastating effect. 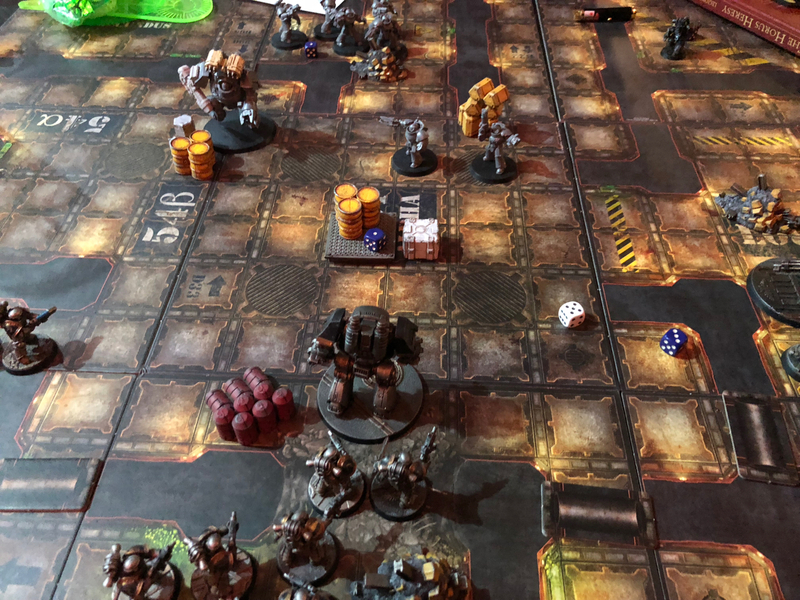 Only just scraped a narrow 4/3 win due to one surviving members of the plasma support squad dashing through a hail of fire to make a last turn objective grab. I had overestimated how many tiles were in my ebayed Necromunda set – you only get enough for a 3×3 set-up rather than a 4×4 so I probably should pick up another set. Playing on a 3×3 turned out OK largely as both of us were running late. It isn’t half as cool as the FW tiles, but it is a fraction of the price and much more practical to pack up & bring along it a club game night. There are some neat 3rd party MDF wall options which are also pretty economic upgrade too. I do need to go through my scatter terrain to pick out some more interesting pieces for when I next play Zone Mortalis though. In my excitement at actually getting a game in, I inevitably forgot to do the post game campaign injury and experience rolls so I will have to wait to my next game to determine whether or not Warsmith Urzus Mhar has survived to further attempt to rid the ship of the Loyalist. This entry was posted in Horus Heresy 30k and tagged HATE Club, Iron Warriors. Bookmark the permalink.